WALT: Read and write 5 and 6 digit numbers. In Math we researched the population of Bribie using census data on the ABS website and recorded these in different forms. 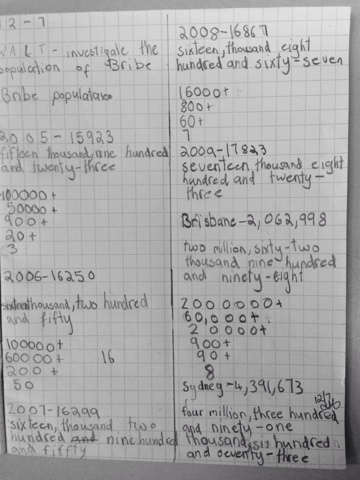 As a class we worked out how much the population had increased each year, then using our knowledge predicted what we thought the population is now. There was lots of engaging discussion in this session!